Mary Lucy Miller travels under secret orders to New Mexico and reports to duty at Project Y in 1943. She is in her late 30s and leaves a well-developed career in medical research to contribute to the war effort. She is highly motivated: her boyfriend is overseas fighting. In her two-story barracks there are enough beds for at least 60 members of the Women’s Army Corps. Grace Rich Jarboe sleeps in a bed next to Mary Lucy, who has been staying out quite often until 1 or 2 a.m. She teases Mary Lucy that she must be dating some special guy. Mary Lucy, a PhD chemist at the D-Building laboratory, sternly replies, “No, I have been working.” That is all she can say. Grace isn’t part of the Tech Area personnel; she interviews new employees, unloads trucks and fills supply requests. She likely doesn't even know the mission: making a new secret weapon. Many WACs are dating and falling in love. Mary Lucy wants an end to the war and for her boyfriend to come home safely. Sgt. Miller is caught up in the frenzy of creating a powerful new weapon. Believed to be more destructive than uranium, a mysterious new substance is arriving in liquid solution, and the physicists must figure out its properties and how to turn it into a metal core — the fissionable heart of the new weapon. The war has been raging for five years, and the U.S. president and military need to know whether this is a trusted weapon to add to their arsenal. The proof test, code-named Trinity, is planned for the next year. Before the weapon can be built, Sgt. Miller must make samples from tiny drops of this scarce liquid for the experiments. Her most daunting assignment, however, is to establish the methods for chemically separating, plating and counting the fallout debris from Trinity, specifically for this mysterious substance. Time is critical. There is no room for error. None of this has been done before. In a top-secret laboratory on the edge of a canyon, Mary Lucy, 40, is entrusted with the plutonium secret. She is an experienced scientist with a doctorate in chemistry from Columbia University and a soldier in the Women's Army Corps. Her division leader is Joseph Kennedy, who helped discover plutonium in 1940 at the University of California, Berkeley. As a matter of wartime security its existence is kept secret. The select few who know about it at Project Y call it “49” for short. 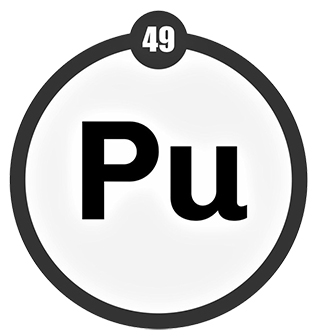 The “49” stands for 94Pu239, with the four taken from the last digit in plutonium’s atomic number and the nine taken from the last digit of the isotope of interest. The laboratory where Mary Lucy works is designed for plutonium research, development and production. She receives precious quantities in liquid solution. Once its properties are better understood, the metallurgists can fashion plutonium into metal shapes and the weapon designers can determine how to trigger its power. A plutonium oxide sample similar to the kind Mary Lucy created. If you only had one element to teach chemistry with, plutonium would be it — the saying goes — because it exhibits so many unusual characteristics. The radiochemistry program is developing processes for working with the as yet unreceived plutonium and uranium that will be used in the first bombs. Plutonium, which is manufactured in reactors, is in scarce supply and stand-in materials aren't adequate comparisons. 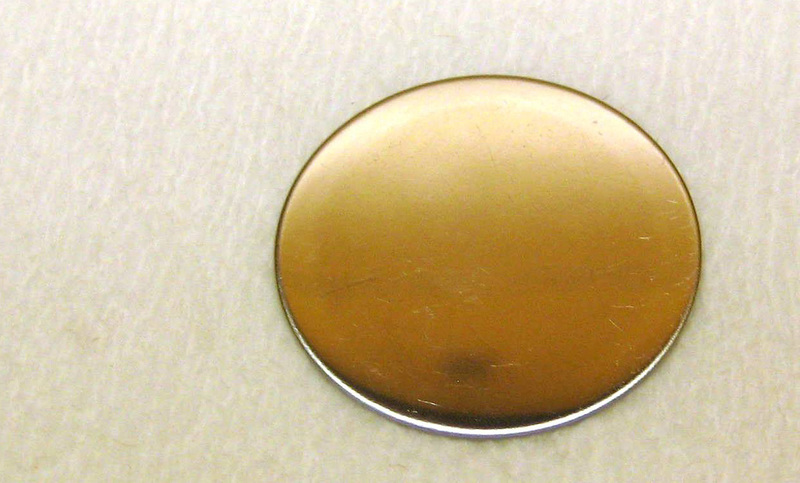 Not until March 1944 is the first significant piece of plutonium metal produced — a 1-gram button. Mary Lucy's group is collaborating with the Radioactivity group, the Experimental Physics Division (and later the ordnance groups) to produce thin foils in a wide variety of materials and specifications. The emphasis is on the oxides of uranium and plutonium. This work involves a great deal of arduous and delicate work and continued research on methods. The chemists successfully develop several new techniques for preparing foils, and turn out large numbers of foils that accurately meet the physicists' specifications, including unusual geometries. Kennedy was Mary Lucy's division leader; Helmholz and Dodson were her group leaders. Mary Lucy was an alternate group leader. Plutonium is the wildest card of the actinides because it displays a range of unusual characteristics, including unpredictability in a chemical environment, and it makes a poor metal. Mary Lucy is tasked with making thin metal samples of plutonium oxide (a stable ceramic material with a high melting point) — a process she must develop and refine. Plating plutonium involves trial and error; it must be done uniformly and without contamination. Mary Lucy uses a plating cell, and her lab is air conditioned to keep the dust out. The platform for the sample will be nonreactive platinum. She coats a platinum disk the size of a quarter with an aqueous solution of plutonium and adds in other chemicals to form a plutonium layer, which she converts to plutonium oxide by heating. All that remains is a thin shiny sample of plutonium oxide on platinum. In her June 12, 1944 preliminary two-page paper, “The Electrolytic Preparation of Thin Films of Plutonium Oxide," she says the process takes two to three hours. Mary Lucy gives these plutonium oxide samples to the experimentalists, who seek to understand the structure, properties and reactivity of plutonium oxides so that plutonium can be properly used in a weapon. In the midst of this hectic time, Mary Lucy feels a strong tug from home. In July, her father, a banker and a farmer, dies suddenly in the family's Deansboro, New York, home. 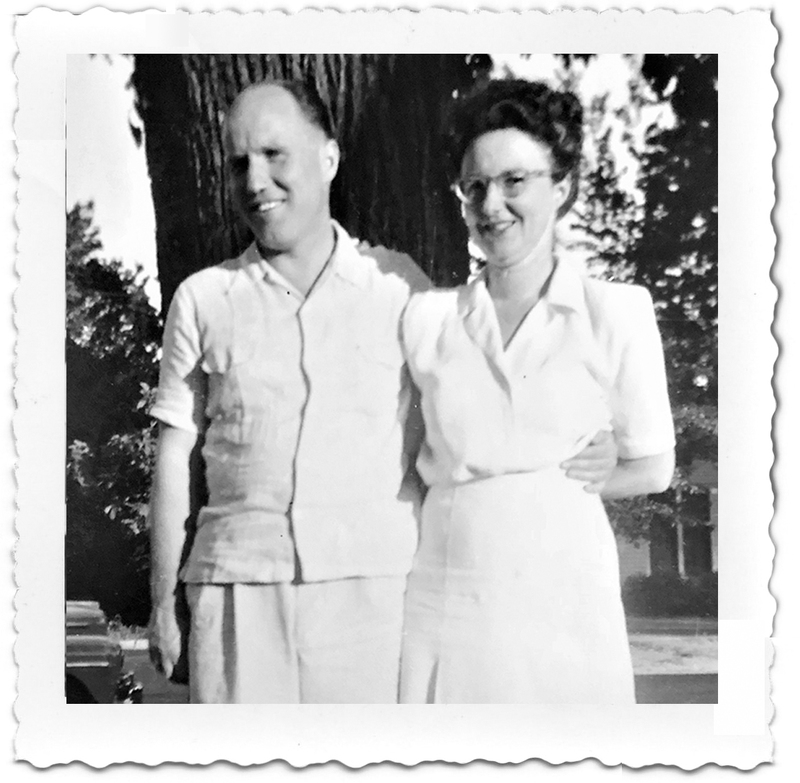 His obituary lists Mary Lucy as a WAC member in service at Santa Fe, New Mexico. She likely cannot leave for the funeral. That same month, work on the plutonium gun program is abandoned. Experiments proved that unlike uranium, plutonium could not be used in a gun-type fission weapon because residual impurities could not be completely removed. An alternate method, implosion, must be developed if plutonium is to be used in a bomb. By August 1944, Director J. Robert Oppenheimer has reorganized all laboratory work around the plutonium implosion problem. A new danger is realized — plutonium poisoning from dust. Plutonium is extremely toxic due to its radioactivity, especially when inhaled. Those working with plutonium receive special training, their labs are outfitted with venting hoods and air monitors, they wear protective clothing and undergo nose swabs and urine testing. Mary Lucy is working with wet solutions, and once plated, the plutonium shouldn't flake off. Project Y receives 51 grams of plutonium, which will be used in more than 2,500 different experiments. Mary Lucy's thin foils support these efforts. If a foil gets dirty, the researchers can dissolve it and replate the purified plutonium. By fall, the site for the Trinity test is selected. World War II has been raging for five years, and Project Y must demonstrate that this highly experimental weapon works. Many at Project Y fear it won't. Kennedy is looking to Mary Lucy to create some of the laboratory techniques and procedures for measuring the explosive power of the world’s first plutonium bomb, nicknamed "the gadget" and "Fat Man." Calculations are being worked up on the behavior and effects of a nuclear explosion, including "the probable fate of plutonium and fission products in the ball of fire and smoke cloud ascending out of it." Physicist Herbert Anderson and his radiochemist colleagues make plans to collect fallout debris from the crater under the tower where the device will be detonated in the New Mexico desert. The fallout samples cannot simply be swiped with a Geiger counter. To get reliable measurements, the debris must be separated into distinct parts (e.g., fission products, activation products and residual actinides) that can be studied individually, then all the data must be analyzed as a set. Plutonium, uranium and fission products — all that information is necessary to calculate explosive yield. Even though the bomb's destructive power will be visible in the desert, they want to quantify the energy output of their invention. Destructive impact is qualitative and depends on the nature of what is being blown up. Experimentalists will need to know how much plutonium is burned up in the blast, and Mary Lucy is busy refining the plutonium methods. After tanks retrieve fallout samples, the plutonium is chemically separated out from the fission products. Next, the separated plutonium is fixed on a platinum holder and placed inside a counting machine. Nothing must interfere between the counting machine (the detector) and the alpha particles emitted from the plutonium. 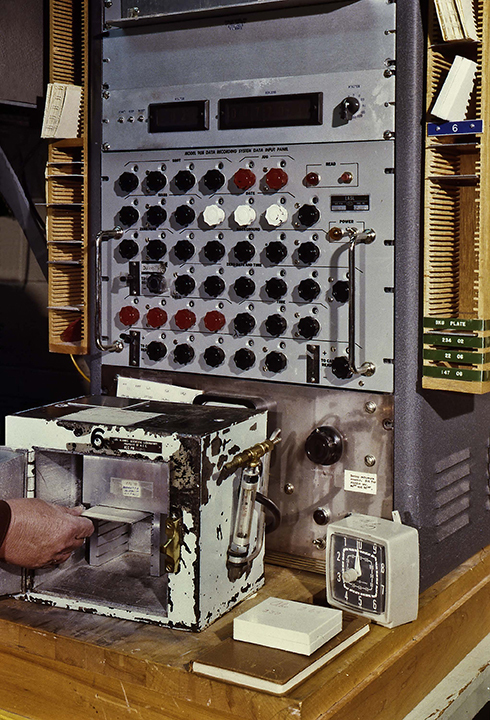 A counting machine filled will nitrogen measures the activity of the post-detonation plutonium. 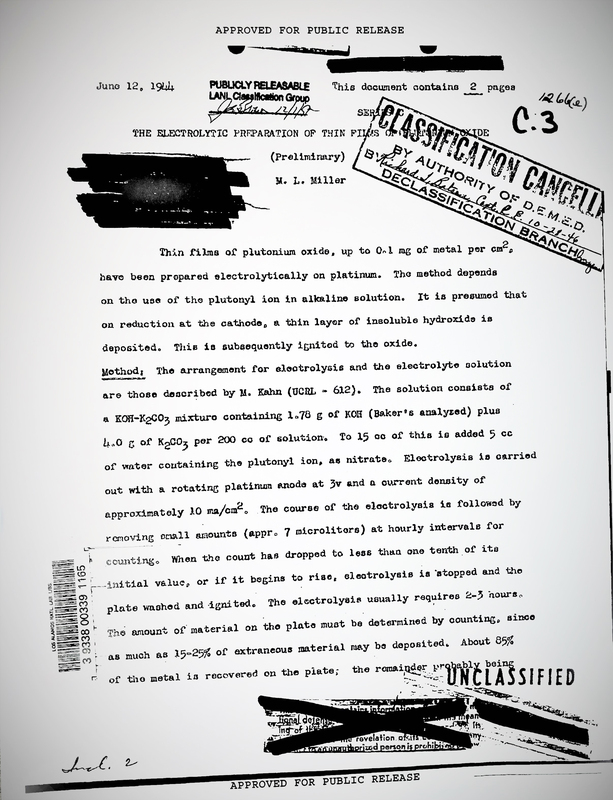 Analysts combine the plutonium readings with information about different fission products to determine "Fat Man's" yield and the residual plutonium in the debris. “Speed them back, Join the WAAC” was one of the slogans on recruiting posters aimed at women. Before the war, Mary Lucy was a promising medical researcher. She received her doctorate in physical chemistry in 1934 (specializing in polymers) and worked at the Rockefeller Institute for Medical Research in New York. In 1939, she became a research associate in the Pathology Department at Washington University School of Medicine in St. Louis. Then everything changed. William Blackburn Ransford, her boyfriend, enlisted in the U.S. Army about four months after Imperial Japan attacked the U.S. Naval base at Pearl Harbor. Mary Lucy wanted to do something to help end the war swiftly, so Bill could come back soon. Just after her 39th birthday, in 1943, she enlisted in the Women’s Army Auxiliary Corps (WAAC), leaving behind her post at Washington University. She has no idea she will spend the next two years working feverishly toward the world's most dangerous weapon. Mary Lucy is assigned to the Radiochemistry group (CM-4) in the Chemistry and Metallurgy Division, even though she is not a radiochemist by training. There's a LA-30 Handbook of Plutonium Chemistry being prepared. the planning of remote control methods for the handling of radio-lanthanum. Mary Lucy excels in her assigned area, and as of March 1945, she is the alternate group leader for CM-4. The duration of her management position is unknown. 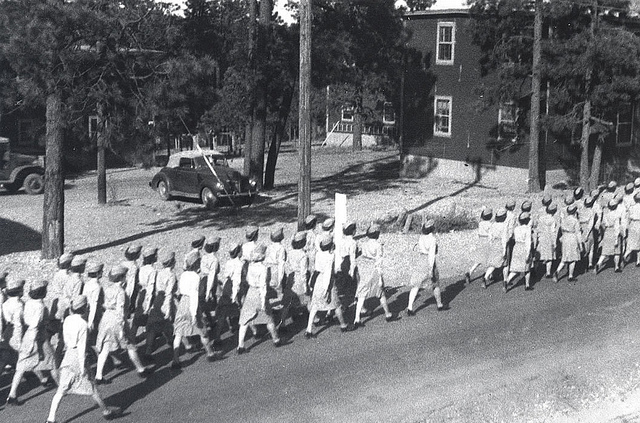 WAC marching brigade passing by the barracks. Of the more than 600 women who work at Project Y, approximately 40 percent are members of the WAC. Among the women soldiers, Mary Lucy is one of only a few with a doctorate. Experimental physicist Elizabeth “Diz” Graves, employed as a "scientist" in R-Division, is probably the highest ranking of the civilian women scientists. 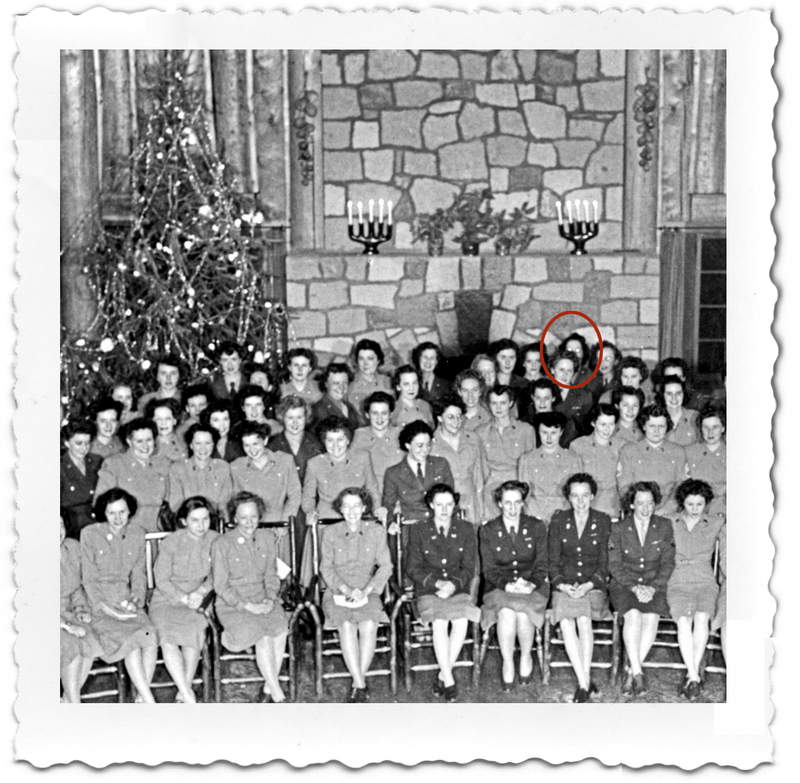 Mary Lucy (in back row) at 1944 Christmas gathering at Fuller Lodge. The need for chemists escalates and 400 people are working in the Chemistry and Metallurgy Division by 1945. There are other remarkable women scientists in the division, such as Norma Gross, Lilli Hornig, Maryalice Nachtrieb, Helen Dunham Cowan, Myrtle Bachelder and Elizabeth Wilson. Some are civilian scientists with Project Y and others are military like Mary Lucy. "Women chemists worked on a variety of nuclear chemistry projects, supporting fundamental research related to uranium, plutonium and other radioactive elements," according to Laboratory historian Ellen McGehee's master's thesis. "Sent to Los Alamos in liquid solution, the world's first quantities of plutonium were weighed, assayed and processed into metal by scientists working in the Chemistry and Metallurgy Division. This radiochemistry work was critical to the development of the metal plutonium 'core,' the fissile heart of the implosion bomb." The mysterious exit: where is ML on test day? Mary Lucy is referred to as “Sgt. 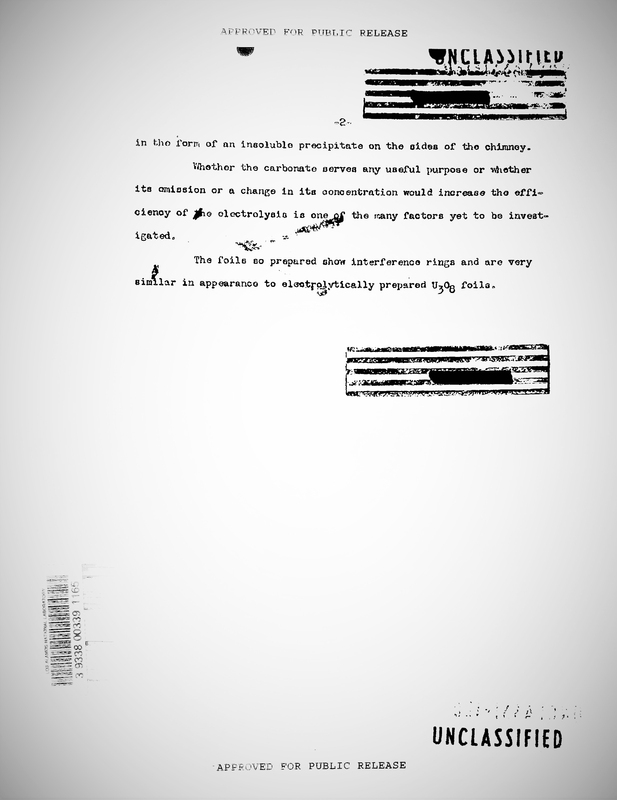 Miller” on her exit document, which she signs on June 30, 1945 — 16 days before the Trinity test. 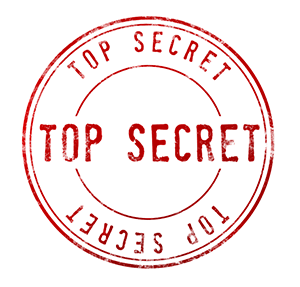 It is stamped SECRET in red. Nothing on her paperwork explains the timing of her departure. Since she worked on the predetonation plutonium work for Trinity, she would have been a logical choice for the postdetonation plutonium work as well. Is Master Sergeant Ransford back from North Africa and she slips away to be with him? Does she camp out in the woods near Alamogordo with WAC chemist Norma Gross to watch the world’s first nuclear device explode? Or join staff chemist Lilli Hornig to witness the test from the Sandia Mountains? Is she privy to the Trinity yield analysis — 21 kilotons of TNT equivalent power — which far exceeded Oppenheimer's calculations? Mary Lucy's exit document shows her handwriting and speaks in general terms about her contributions. After Mary Lucy is gone, technicians in the radio-assay group are working day and night to get the uranium bomb ready for Hiroshima and the plutonium bomb ready for Nagasaki. Chemistry technician Rebecca "Beckie" Diven (Plutonium Purification group, CM-5) uses Mary Lucy's methodology as she dries small amounts of recovered plutonium solutions on platinum disks and screens the results with a Geiger counter, a faster but less precise method than using a counting machine. On Aug. 9, 1945, "Fat Man" is dropped from a B-29 bomber on the city of Nagasaki and the surrender of Japan is announced. Where is Mary Lucy? How does she feel about it? Like the others, Mary Lucy is congratulated for her service. All members of the WAC assigned to the Manhattan District Project are sent a congratulatory letter from the Women’s Army Corps: “The security measures that still involve the Manhattan District Project, the great responsibility that each one of you will always have, set you apart as very special and honored heroines in World War II." 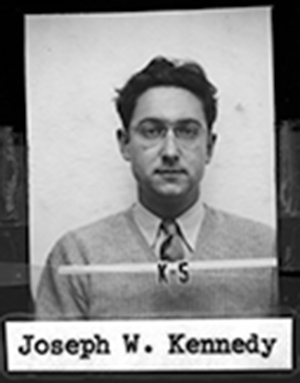 Kennedy is recruited to lead the chemistry department of Washington University in St. Louis and accepts with the condition that he can bring the Los Alamos nuclear chemistry team with him, including Mary Lucy's group leader Lindsay Helmholz. Kennedy receives $400,000 from the Atomic Energy Commission for his role in the discovery of plutonium. He dies at age 40 of stomach cancer. In 1946, Mary Lucy marries Bill. She re-launches her career, taking a position as a research fellow at Stamford Research Laboratories in Connecticut. She has a big career in polymer chemistry and publishes important papers. By the time Mary Lucy retires from the American Cyanamid Company in 1969, her credits include numerous articles in peer-reviewed journals, a 704-page book on the structure of polymers and several patents. In 1990, Mary Lucy dies at age 86 of leukemia, in Tallahassee, Florida. She is buried at the Miller family plot in the Deansboro Cemetery in Oneida County, New York. Bill dies six years later. "The chemistry Mary Lucy developed for the yield analysis of the first plutonium bomb led to significant advances in analytical radiochemistry and nuclear instrumentation," summarized Lisa Hudston (Nuclear and Radiochemistry group, C-NR). Her foundational work in plutonium can be seen today in the methods used to detect clandestine nuclear tests, investigate suspicious materials, create targets for experiments and protect the health of plutonium workers. Gus Keksis and Hudston of C-NR explained how they can see the impact of Mary Lucy's scientific methods in the present. At Los Alamos and internationally, her work is clearly recognizable in applications relevant to nuclear forensic evidence examinations, irradiation experiments and in-vitro bioassay for dosimetry purposes, they say. "We're using similar separation chemistry and we're using similar plating techniques as developed in the Manhattan Project," Keksis said. The plating method Mary Lucy described in her paper has been refined and is a standard procedure. “It’s a significant part of what we do today,” said Hudston, a chemist who specializes in alpha spectrometry. When the Lab's plutonium workers provide urine samples, TA-48 scientists plate the plutonium out of the urine samples and count the atoms to determine the workers' radiation exposure, Hudston said. A similar plating method is used for making targets for cross-section measurements of plutonium and other actinides at the Los Alamos Neutron Science Center. "This analytical capability is a very important aspect of nuclear nonproliferation," Keksis noted. For example, if a suspicious material is interdicted by the United States or another country, a chemical process similar to what Mary Lucy developed is used to separate plutonium and electrodeposit the sample for counting. Though entrusted with the plutonium secret (and presumably other secrets), Mary Lucy's technical contributions had been lost to history. When retired Chemistry Division Leader Alex Gancarz and Keksis uncovered part of her legacy this year, they found two declassified papers — one in which Mary Lucy describes the method she developed for plutonium oxide; the other that shows a sketch of the counting machine she may have used to do her work. Is this the counting machine that Mary Lucy used? It dates back to the Trinity test and is still at the Laboratory, in the counting room at TA-48! Throughout the period of nuclear testing, which ended in 1992, Mary Lucy's foundational work in plutonium was essential to yield analysis, he noted. Mary Lucy excelled in her assigned area, and together with everyone else working on the Manhattan Project enabled the success of building a plutonium implosion bomb in an extremely compressed amount of time. "Miller played an important role. She was doing research and development on a new element, so I’m sure there were setbacks along the way, but she kept researching and developed a procedure to separate and electrodeposit plutonium in a uniform manner," Keksis said. Los Alamos invented radiochemistry, and its collection of modern radiochemical procedures is widely consulted today. "In providing plutonium samples, she helped enable the numerous tests that led to an understanding of its physical properties," Keksis said. "She developed the procedures to separate and electrodeposit plutonium, which provided the foundation on which modern procedures were built." Celebrated chemist Darleane Hoffman, who joined the Laboratory in 1951, may have built upon Mary Lucy's processes when she developed the electrodeposition of plutonium for fission counting procedure, according to Keksis. Like Mary Lucy, Darleane's focus was plutonium and her contributions provided a basis for scientific methods used today in the national security community. "During World War II, the Laboratory had one mission: to produce an atomic bomb. To that end, the Laboratory operated as one team. The individual work of everyone, including that of Oppenheimer and Mary Lucy Miller, contributed to that mission," said Roger Meade, Laboratory archivist-historian emeritus. "I believe the contributions of Mary Lucy Miller should be viewed in this context," he continued. "Her technical contributions contributed to the success of the Laboratory. And, like most who worked at Los Alamos during the war, she remains relatively unknown. Physicist Robert Christy, who contributed to the final design of the Trinity device, is one example. In contrast, Oppenheimer and Teller, arguably two of the Laboratory’s most famous scientists, did comparatively little technical work." Editor's Note: This is the final story in the Laboratory's 75th Anniversary Heritage Series. Mary Lucy Miller is among the more than 150,000 American women who served in the Army during World War II. Mary Lucy with mother-in-law Maude Ransford and sister-in-law Ruth Ransford. 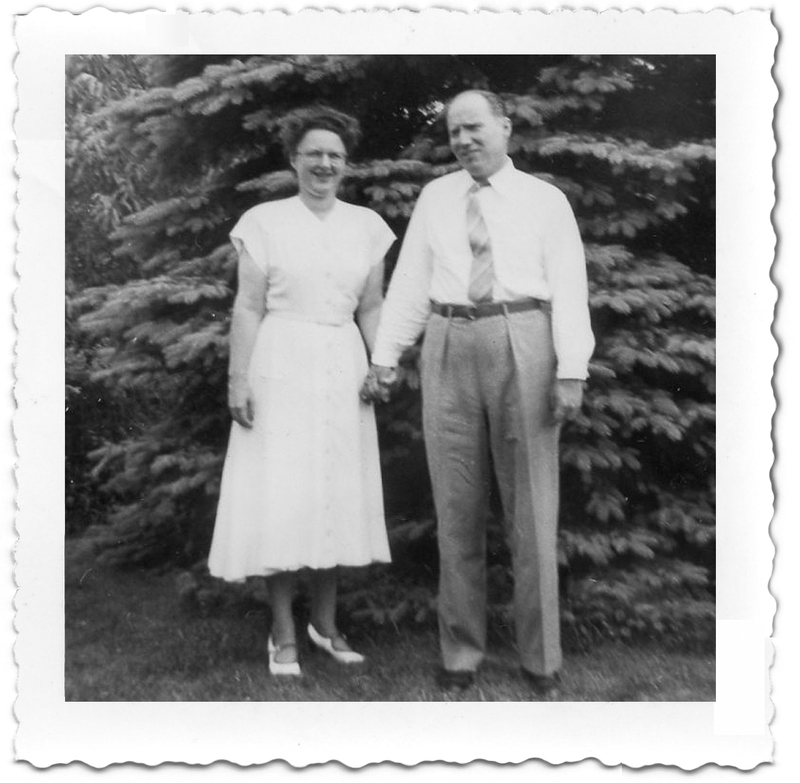 May 2, 1904: Born to college-educated Mary Hovey Miller and farmer/banker Curtis E. Miller of Deansboro, New York. Jan. 16, 1925: Mary Lucy’s mother died at age 46. Feb. 17, 1926: Mary Lucy’s father married Marjorie Dewey Goodwin. 1927: Received AB, Syracuse University. Member of the Phi Beta Kappa liberal arts society, considered America’s most prestigious honor society. 1929: Received MS, Columbia University. 1931-32: Taught chemistry at St. Mary’s Junior College in North Carolina. 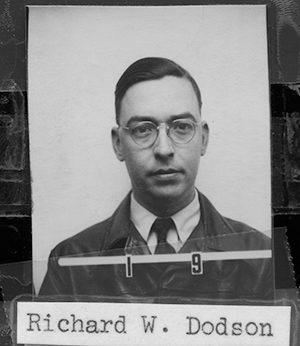 1934-1938: Worked as chemist at Rockefeller Institute for Medical Research in New York. 1938-1943: Worked as a research associate at the School of Medicine at Washington University in St. Louis (Department of Pathology). Sept. 3, 1939: WWII broke out. December: Plutonium discovered at the University of California, Berkeley. Dec. 7, 1941: Japanese attack on U.S. naval base at Pearl Harbor. April 8: William Blackburn Ransford, her future husband, enlisted in the U.S. Army at Fort Jay, Governors Island, New York. May: Congress established a Women’s Army Auxiliary Corps (WAAC) "for the purpose of making available to the national defense the knowledge, skill and special training of women of the nation." Fall: Brigadier General Leslie R. Groves gave the order to build and staff a secret wartime laboratory (Site Y) at Los Alamos, New Mexico. April 21: The first group of WAACs reported for duty at Project Y. May 13: Mary L. Miller enlisted in the U.S. Army in St. Louis, Missouri. [Age 39.] Army serial number: A-708169. Private. Branch code: Signal Corps. Terms of enlistment: “Enlistment for the duration of the War or other emergency, plus six months, subject to the discretion of the President or otherwise according to law.” Education: Post-graduate. Civil occupation: Chemists, assayers and metallurgists. Marital status: Single, without dependents. July 1: New law allows women to enlist and be commissioned in the U.S. Army, with full rank, privileges and benefits. The “auxiliary” status is dropped from the WAAC, and the name changes to the Women’s Army Corps (WAC), a new branch of the U.S. Army. 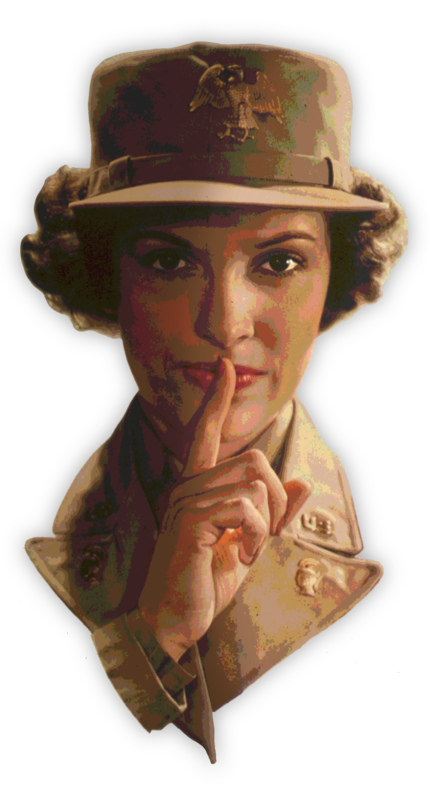 June 3: Authority granted to establish a Manhattan District Women’s Army Auxiliary Corps Detachment, for a unit of 75. (Later authorized for unit of 425.) Enlisted women stationed at Chicago; New York City; Los Alamos, New Mexico; Washington, D.C.; and Pasco, Washington. Mary Lucy Miller, a Private First Class in the Women’s Army Corps, arrived at Site Y in 1943. She was assigned to Chemistry (C) Division. Fall: The first plutonium arrived at Los Alamos from Oak Ridge. Aug. 24: WACs at Site Y are sworn into the regular Army. Larger gram amounts of plutonium started arriving at Los Alamos in early 1944. The world’s first significant piece of plutonium metal was produced at D-Building at Los Alamos in the spring of 1944. July 22: Mary Lucy’s father died at age 68 in his Deansboro home, “after a day’s illness,” and a private funeral service was held at home. At the time of his death, he was director of two banks and operated a farm. He had been a principal of Waterville High School for four years. He was a graduate of Hamilton College, class of 1899, and received his master’s degree in 1902. He was a member of the Phi Beta Kappa Society and of Delta Upsilon fraternity. His obituary lists “Mary Lucy, a member of the WAC, in service at Santa Fe, N.M.” as one of his three surviving daughters. August: J. Robert Oppenheimer reorganized Project Y to concentrate laboratory work on the plutonium implosion problem. 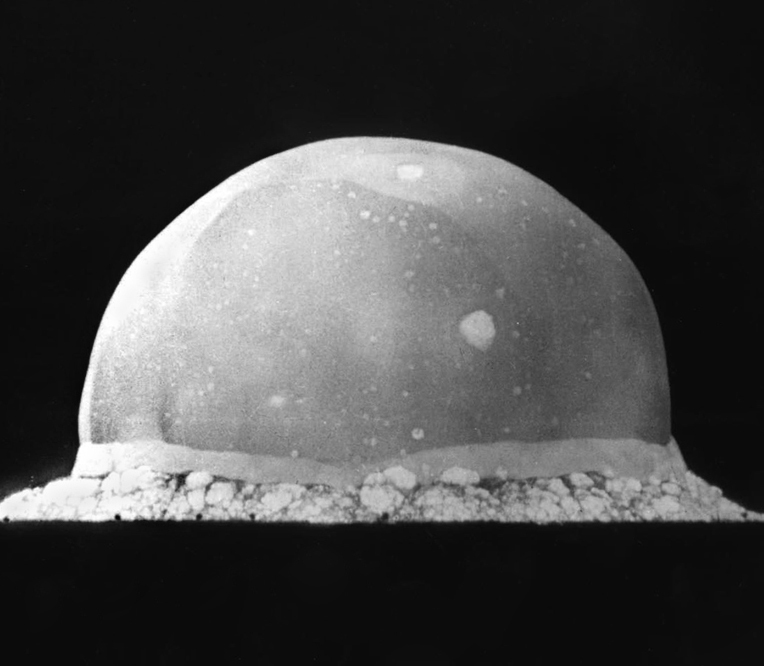 Scientists were not confident about the complicated implosion or “Fat Man” design, which used high explosives to compress a critical mass of plutonium: symmetrical compression would increase the density of the fissionable material and cause a critical reaction. A new technical difficulty was discovered, the serious danger from plutonium poisoning, which made necessary the development of enclosed apparatus wherever possible. Mary Lucy, a WAC with a PhD from Columbia, was a “Tec. 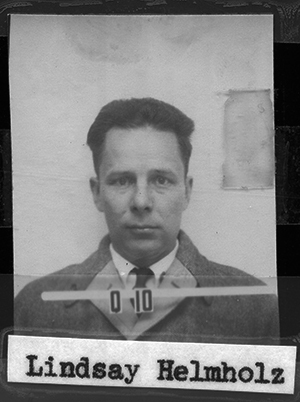 4” (T/4) chemist in the Chemistry and Metallurgy Division’s Radiochemistry group (CM-4) as of December 1944. She was 40 years old. Dec. 21: Mary Lucy attended a WAC Christmas Party at Fuller Lodge. February: Project Y receives its first plutonium. As of March 1945, Mary Lucy was the alternate group leader for CM-4; the duration of her management position is unknown. 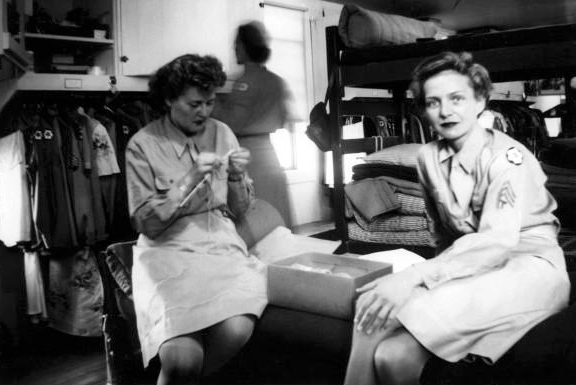 May: 67 WACs stationed at Los Alamos; about 40 percent working in scientific areas. May 7: Germany signed unconditional surrender, effective May 8. May 7: 100-ton TNT Shot, a calibration explosion using ordinary explosives. Calibrated the instruments that would detect energy release, thermal radiation and other factors that were independent of nuclear radiation. June 30: Sgt. Mary Lucy Miller, a U.S. Army Technician Fourth Grade (T/4), signed her exit personnel questionnaire, which briefly summarized her chief technical contributions. July 16: Trinity test is successful. Oct. 19, 1946: Company “D,” WAC Detachment, Manhattan District Corps of Engineers, Santa Fe, New Mexico was deactivated. "I always remember Aunt Mary Lucy as a gracious, soft-spoken lady," said Charlotte (Rist) Adelsperger. 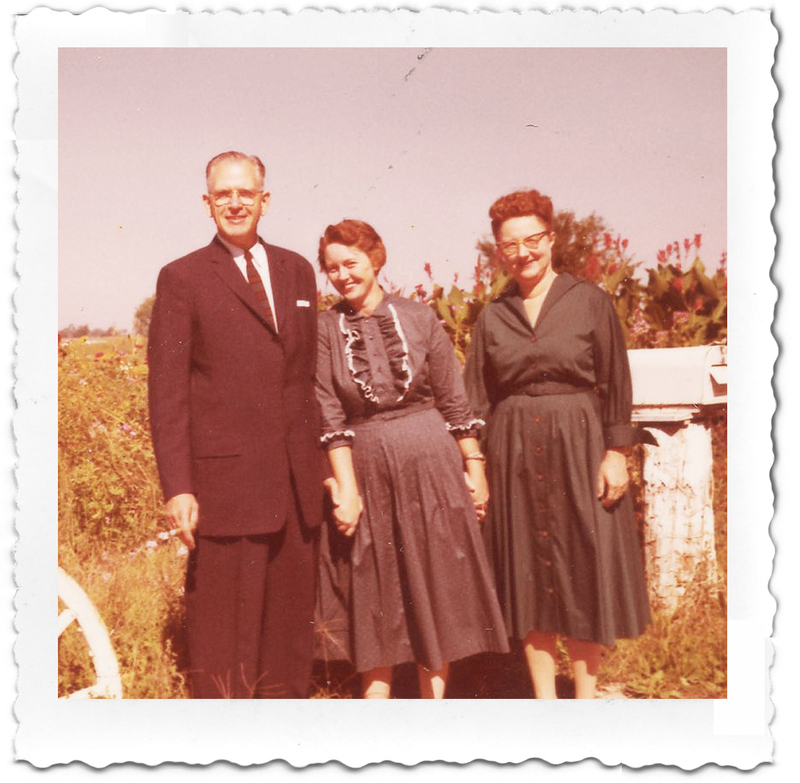 Mary Lucy is pictured with Charlotte's parents, Mary (Ransford) Rist and Dr. Walter Rist. 1946: Mary Lucy took a research fellowship at Stamford Research Laboratories (Stamford, Connecticut), part of the American Cyanamid Company. American Cyanamid's most important contributions to the war effort came from its pharmaceutical division, which supplied typhus vaccine, gangrene anti-toxin, and dried blood plasma to the armed forces. A subsidiary, Davis and Geck, was a major supplier of surgical sutures. 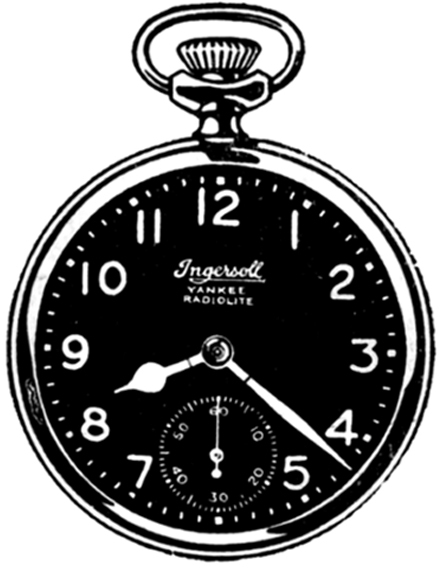 1965: Mary Lucy Miller (New York) filed patent with Henry Joseph Fornasar. (United States Patent 3,390,067 granted in 1968). Invention relates to novel surface-treated, wettable, porous polytetrafluorocthylene felting material, which is eminently suitable as a matrix for a variety of fuel cells. 1966: Reinhold Publishing Corporation published “The Structure of Polymers,” 704 pages, by M.L. Miller. Second in the series “Polymer Science and Engineering,” sponsored by the Society of Plastic Engineers. 1969: Filed a patent for a medical device (US3663288A) under the name Mary Lucy Miller. Retired from Cyanamid. 1978: The WAC was disbanded; all units integrated with male units. 1990: Mary Lucy died on May 24, 1990, of leukemia in Tallahassee, Florida. She was 86 years old. She was buried at the Miller family plot in Deansboro Cemetery in Oneida County, New York. 1996: Bill Ransford died on Jan. 25 at age 89 of heart failure. He was buried in the Deansboro Cemetery in Oneida County, New York. Author’s Note: Mary Lucy Miller Ransford was my great aunt. I never met her, but I heard intriguing stories about her and Uncle Bill from my grandmother, Mary Ransford Rist, who lived in St. Louis. We knew Mary Lucy was an accomplished chemist who had served with the Women’s Army Corps at Los Alamos but we had no idea what she did there. 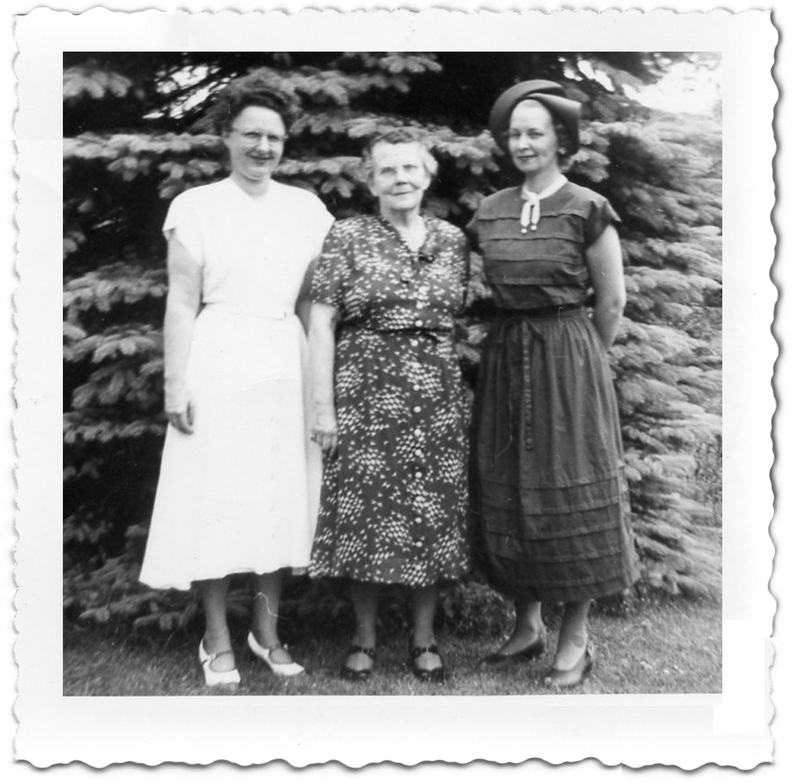 My grandmother was deeply disappointed that she lost communication with Bill and Mary Lucy in their later years. My search for Mary Lucy’s story began in 2011 when my relatives and I found her photo in the Lab’s Bradbury Science Museum and mention of her in a book at the Los Alamos History Museum. 1966: American Men of Science, Vol. 11: Physical and Biological Sciences. 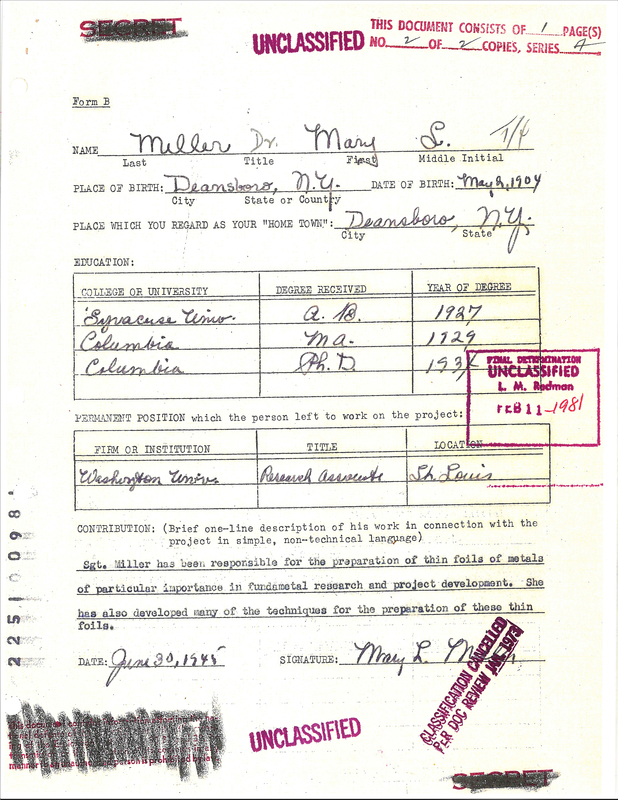 "Dr. Mary L(ucy) Miller (Mrs. W.B. Ransford). Physical and polymer chemistry; electrochemistry." Her address is listed as 177 E. 75th St., New York, NY 10021. 2015: The General and the Genius: Groves and Oppenheimer—The Unlikely Partnership that Built the Atom Bomb, by James Kunetka. "Mary Miller, a PhD in chemistry, was assigned to the Chemical and Metallurgical Division, where she ultimately became an alternate group leader."